There are currently no Elizabethton notable alumni listed. Be the first to add an EHS famous alumni. If you know someone who graduated from EHS in Elizabethton, TN that has passed away, you can create a memorial for them. 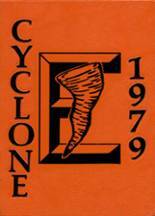 This site has been created for the former students of Elizabethton HS located in Elizabethton, Tennessee. Don't forget to upload your Elizabethton High School pictures and check on the latest info about any Elizabethton High School reunion. 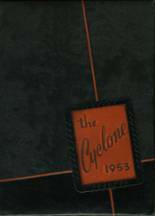 While you are reminiscing about the times you spent in high school at Elizabethton High School, you should also check out alumni photos, yearbook listings and share any reunion info if possible. Terri James has someone searching for them. Sheila Wyatt has someone searching for them. Michale Carter has someone searching for them. Daniel Fetzer has someone searching for them. Patty Heaton Wilhelm added photos to their personal photo gallery. Patty Heaton Wilhelm updated her profile. Bobby Winters registered as a EHS alumni. Bobby Winters updated their profile picture. Bobby Winters added photos to their personal photo gallery. Patty Heaton Wilhelm registered as a EHS Class of 1992 alumni. Patty Heaton Wilhelm updated her profile picture. Carolyn Thompson registered as a EHS Class of 1971 alumni. Carolyn Thompson updated their profile picture. Carolyn Thompson added photos to their personal photo gallery. 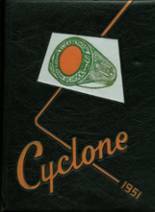 Carolyn Thompson requested a EHS yearbook from 1971. Joseph Ibrahim added photos to their personal photo gallery. Joseph Ibrahim registered as a EHS Class of 1995 alumni. Joseph Ibrahim updated his profile picture. Jenn Hinerman Norris added photos to their personal photo gallery. Jenn Hinerman Norris registered as a EHS Class of 1995 alumni. Jenn Hinerman Norris updated her profile picture. Jenn Hinerman Norris requested a EHS yearbook from 1995. Johnny Bowling registered as a EHS alumni. Johnny Bowling updated their profile picture. Johnny Bowling added photos to their personal photo gallery. Debbie Harvey Veasey registered as a EHS Class of 1969 alumni. Debbie Harvey Veasey updated her profile picture. Debbie Harvey Veasey added photos to their personal photo gallery.